Well, as most of you may know (or perhaps some of you don't know), I accepted a two-book deal with Simon & Schuster recently. So, I'm an indie publisher no more, but I will still maintain my blog and share all of my tips until I have no more tips to share. Of course, I am very excited about the prospects. But a lot of people have had questions about how it happened and why I accepted the deal. So, I thought I would do an initial post on the issue, but as I get further into the process, since I will have the experience of working both sides of publishing (indie and traditional), I will periodically post about the drawbacks and advantages that I see in both processes. So, the next day, I stared at the phone until about 11:00 am. I figured by 11:00 am, she'd be done catching up on her early emails and phone calls and she wouldn't have left for lunch. Turned out to be perfect timing. And she answered on the second or third ring. So, she asked me about how I got into writing, how I went about publishing my book, what kind of marketing plan I did, etc. etc. In one of the funnier moments in the conversation, she asked me if I'd queried any agents or editors. I said, "Well, as a matter of fact I sent my partial to you." She got quiet and I heard her fish around her desk. She had my query sitting in an envelope right in her overhead. Ha! How's that for coincident. Of course, she was mortified. I told her not to feel bad. I truly believe that things happen for a reason. There was a reason that she didn't read it back then. So, she suggested she'd be making me an offer and we let it go. She asked me for a copy of my manuscript and to see my two works in progress. So, I sent them to her. I asked an editor and an agent who I'd been in touch with at a writer's conference (I was the coordinator that booked them and she was very gracious) advice on what I should do next. They said get an agent. I sent a note to the editor who called me and asked her if she'd have a problem with me getting an agent. She said no. As a matter of fact, she referred an agent to me. At that point, I knew she was serious. Anyway, so I queried a few agents, including the one she recommended for me. I went on Publisher's lunch and found agents who worked with author in similar genres. I wanted someone with experience in selling African American (AA) fiction. Within a few days I had a few that were very interested. I ended up picking the agent who represented two female AA best-selling authors who write in different genres. He had great credentials (a former editor for big houses) and he knew how to sell AA fiction. I couldn't go wrong. He asked me to make a few edits to the manuscript. Admittedly, I was reticent only because my book was already out there. 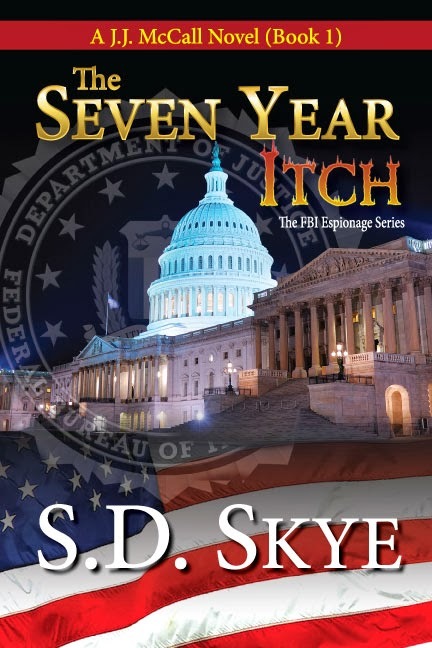 But it came down to the fact that, even though I'd sold a couple thousand copies (ebook and paperback), I hadn't sold enough to the point where changes to the manuscript would impact millions of readers. So, I got over myself and my few measly sales and I made the changes he suggested, and he put it on submission. He submitted it just as he would an unpublished manuscript but in the accompanying letter, we let them know that it had been self published, received great reviews, was building word of mouth, yadda yadda yadda. So, two weeks go by and the rejections start rolling in. After about 4 or 5 I asked if I should get depressed and he said we had a long way to go. Finally, an editor from S&S said she liked it and was passing it around. The original editor who expressed interest from Kensington was still interested and waiting on her boss to return from vacation. Then another editor from Grand Central (Hachette) expressed interest. After all the offers and counteroffers, we finally accepted the one with Pocket. Of course part of me felt really really bad because if it hadn't been for the original editor reaching out to me, I might not have even had the opportunity. But she indicated she wasn't able to match S&S offer, so she gave me her best wishes for my career. I felt much better. To answer some of the questions I received, no one ever asked about my sales numbers until after the offers were made. I did not query anyone after I published the book. I queried before I published but not after. So, I can't really say whether trying to query an agent or publisher after you've self-published will work for you. I didn't have to query. How do I think she found me. 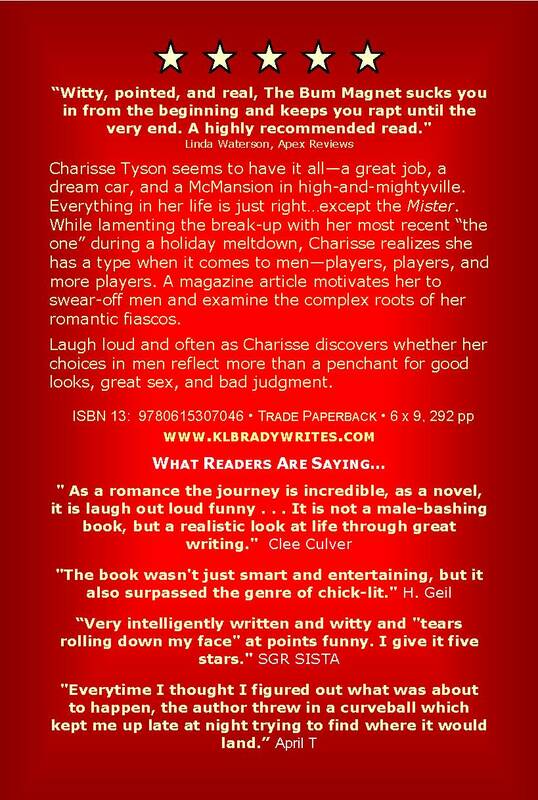 Well, my book had been reviewed on several sites where her authors book were also reviewed. Mine was one of the few self published books to get a 5-star rating, "favorite," or "top read" status. 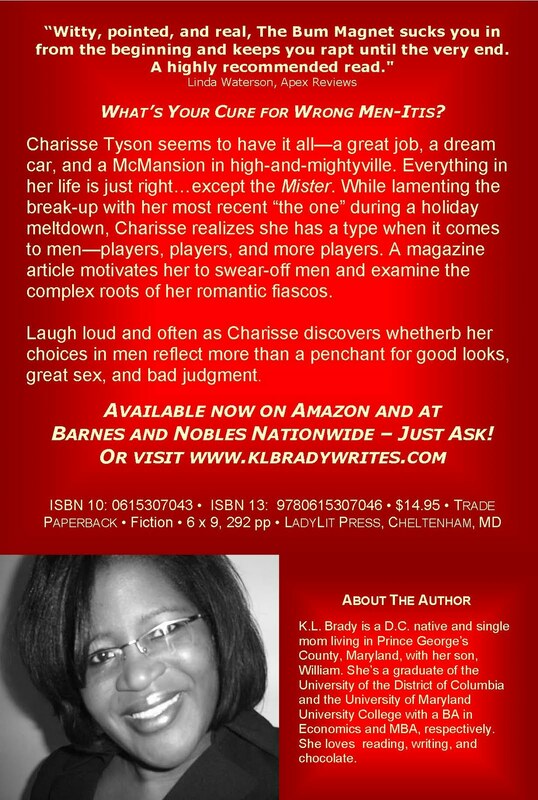 My book also stayed in the Top 100 African American fiction list on Amazon. I went through the list at the time, and I was the only book on the list that didn't have a publisher. I'd also been reaching out to book clubs and stuff like that. So, there are a lot of ways she could've found out. I was also asked why if an author, such as myself, was doing well in distributing my book and getting good reviews, why would I relinquish control and sell my rights to a publisher? Ummmmm . . . because it was Simon & Schuster and I'm not crazy??? LOL Just kidding. The thing is, without a whole whole whole lot of work, there is no way I could reach the audience that S&S or another major publisher could reach. That was a fact of life. Nobody knows K.L. Brady; a heck of a lot of people know Simon & Schuster. This is a great opportunity to build my own brand using someone else's brand and expand my audience. It was not about the advance for me. It was about the opportunity this deal offered to build my author brand and I plan to take advantage of every perk the brand and affiliation with a house comes with to market and sell more books. As a new/first-time novelist, I also wanted the chance to work with an editor so that I can improve my craft. This was truly a business decision for me...and I think it was a good one. So, that's scoop and the poop. If you've got questions...let it roll. For those curious about how I designed my postcards. Here they are. I used MS Word. I have two different back designs and one front design. They are simple but they serve the purpose. Show book cover, provide summary, provide some reviews and my website and/or purchasing information. There are several techniques, built into Amazon's site, that you can use to market your book. Today I'll discuss one of them. For today’s post, I’d like to begin with an experiment. First, I’d like you to pull up the Amazon.com website. I’d like you to conduct three searches the term “chick lit.” On the drop-down menu next to the search box, I’d like you to use “All Departments”, “Books”, and “Kindle.” Then review only the first page of books on each of those searches. See anything familiar? 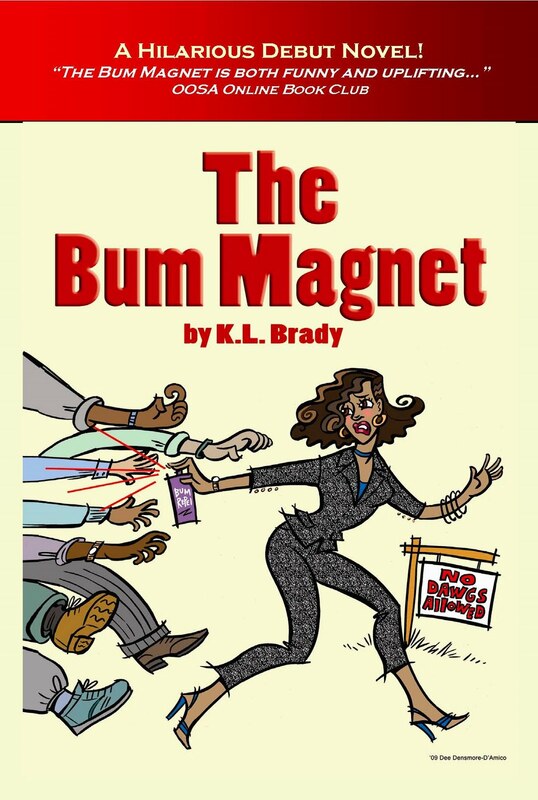 Yes, that’s my book The Bum Magnet on the first page of each of those searches. The position may change from day to day, but it typically stays on the first page. One reason we love Amazon is that it really helps level the playing field for indie authors and publishers. They have a number of tools that can help you get more visibility for your book. Let’s face, we human beings are a pretty impatient lot. When we are shopping online, we don’t want to have to look through 237 pages of products to find the one that we want. Typically, we give up looking somewhere between 5-10 pages in unless we don’t have anything better to do. Then we go on and search another term we hope will get us there faster. Your goal on Amazon is to ensure that your book shows up within the first 5 to 10 pages of a general search term (i.e., cozy mystery, chick lit, romantic comedy). Any further back and it’s likely that a potential reader looking for something new and different may never find your book. One thing you really want to ensure that you leverage to the fullest extent that you can is the “Tags” function. The more tags you get in a particular category, the higher your book will place in that category. The key is ensuring that your tags accurately describe or define the type of book you’ve written. For example, if you tag your book as action thriller but people click on it to find it’s a romance, you’re not going to help your cause. No, you want someone looking for a romance read to find your book. Where are the “tags” on Amazon? If you look at any book product page, you can find the “Tags” section somewhere between the Product Detail section and the Customer Reviews. If you don’t have tags yet, then you should get your tags started by listing the terms that accurately identify your book. Now, each time someone clicks a tag on your book, your book will move up higher and higher in that category. Of course, it’s not tags alone that will help your book move up, but they definitely help. Your sales and rankings will also factor into it as well. For example, on my paperback book, I have a very high tag count in chick lit. However, if my sales ranking creeps up too high, my search ranking in the category usually drops. I don’t know what kind of crazy algorithm they use, but I do know that if you keep consistent sales and you have a lot of tags, that helps move you up. Within the tag section, just to the right of the tags that you select, you can select the “See Most Popular Tags” option and it will show you a “Tag Cloud.” This will tell you which tags are most frequently used among books on Amazon. Although you may be tempted to list the popular tags, don’t! I tend to stay away from the most popular tags because for my book to show up high in those categories, a million readers will have to click the tags to move my books over more popular books. However, if you find a few popular tags that apply to your book, it’s okay to use them. The best strategy is to use those tags that apply to your book. How do I get people to tag my book? Well, one way is to ask your friends and family members with Amazon accounts (they must have Amazon accounts) to take a minute to tag your book when they make a purchase. Another way is to use the services of “Tag My Book on Amazon.” It’s a site for indie authors who want to get their books tagged. It works on a quid pro quo basis, meaning you have to tag other people’s books and they’ll tag yours. 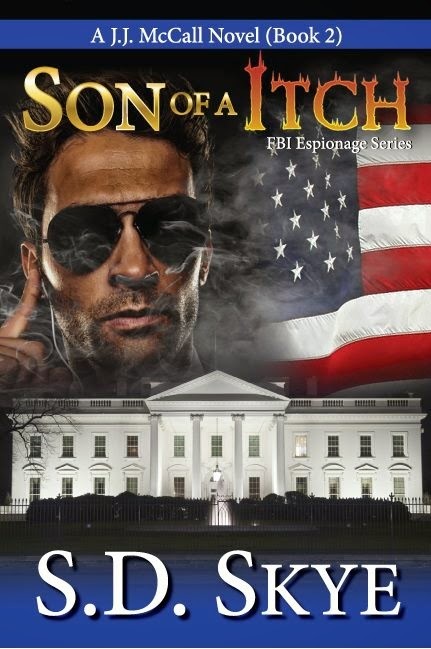 The address to the website is http://www.tagmybookonamazon.wordpress.com/ . Createspace and some of the Amazon discussion boards that cater to authors also have Tag My Book discussion threads in them. You’ll have to search for them, but they’re out there. Make sure you list both your paperback version and your Kindle version on the same post, and they’ll tag them at the same time. This is a great marketing technique that won’t cost you anything but time! Keep it real…and keep it real cheap! I did a book signing at a festival a couple of weeks ago, and, on my table, I displayed some 4x6 postcard with pictures of my bookcover on the front and the synopsis and review clips on the back. I also handed out some 2x9 bookmarks. Anyway, an author stopped by my table to pick up a card and I told her to take several and give them to other people that might be interested in them. And she said, "Oh, I shouldn't. I mean--the cost." And I smiled and said, "Please take as many as you want." Didn't blink an eye. Let me tell you, I have so many postcards in my house right now that I could make it rain postcards over half of my neighborhood for about 5 minutes. And I didn't pay that much for them. You might ask yourself, how can she do that? If you don't want to have to ration your marketing material, you've come to the right place. First, I design them myself, right on Microsoft Word. Then I order all of my marketing materials from GotPrint.com. This is one time you can trust that I have researched just about EVERY SINGLE printing company in this country--at least the online companies. And I can tell you I haven't found any other company that offers prices this low price and for the quality that you receive. Let me give you a couple of sample prices. They do have design services which are really cheap. I used them to make a logo some time ago and the price was ridiculously cheap. So, the next time you need marketing materials printed. GotPrint? Until next time, keep it real . . . and keep it real cheap!